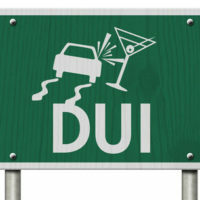 The state of Florida almost always pursues Administrative License Suspension proceedings against individuals who are arrested for DUI. These suspensions are valid even if the defendant is acquitted of the DUI charge or prosecutors voluntarily dismiss the case due to a lack of evidence. Although these cases are not easy to win, aggressive representation at these ALR hearings is often the key to victory in the DUI criminal prosecution. One year if the defendant refused to provide a chemical sample. The suspension period increases based on the number of prior refusals or test results above .08, if any. A limited drivers’ license, which allows the person to drive to and from work, school, the probation office, and other minimally necessary trips, is available after either 30 days (failure) or 90 days (refusal). In some cases, the court may limit the defendant to driving a vehicle that has an ignition interlock device. At some point during the arrest, an officer will serve written notice on the defendant of an upcoming ALR suspension. This notice is easy to misplace among all the other paperwork that the defendant receives. If the defendant does not request a hearing within the time allowed, which can be as little as 10 days, the full period of suspension automatically takes effect. Even worse, judges do not always grant limited drivers’ licenses in these cases, because the defendant ignored the proceeding. So, it is vitally important to request a hearing straightaway, or you will lose the right for a hearing. In most cases, the hearing officer is the prosecutor, judge, and jury in these cases, and the hearing officer is typically a paid DMV employee. Furthermore, since the ALR hearing is not technically a criminal case, some of the normal constitutional protections, such as the right against self-incrimination, do not apply. Finally, the only issue at this hearing is whether the officer had probable cause to ask for a chemical sample, and that is a very low standard of proof. Since the deck is effectively stacked against the defendant, many people assume that the outcome is predetermined so requesting a hearing is essentially a waste of time. But that is not the case. If the state’s evidence is weak and/or the officer was on DUI patrol or otherwise actively seeking out “drunk” drivers, the hearing officer may very well reduce the period of suspension. Additionally, there is no risk, because the worst thing that can happen at an ALR hearing is the officer could impose the maximum suspension period, and that would have happened anyway. Perhaps more importantly, the ALR hearing gives a defense attorney a good look at the prosecutor’s theory of the case and the evidence against the defendant. This free discovery could prove invaluable at trial. The ALR hearing is often an integral part of a successful DUI defense. 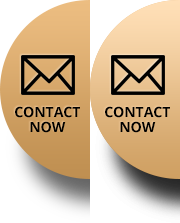 For a free consultation with an experienced criminal law attorney in Port St. Lucie, contact Eighmie Law Firm, P.A. Convenient payment plans are available.